Derek, from Bonhams in San Francisco, kindly sent me a heads up of this lovely TV225 up for auction in their forthcoming Quail Lodge Auction. 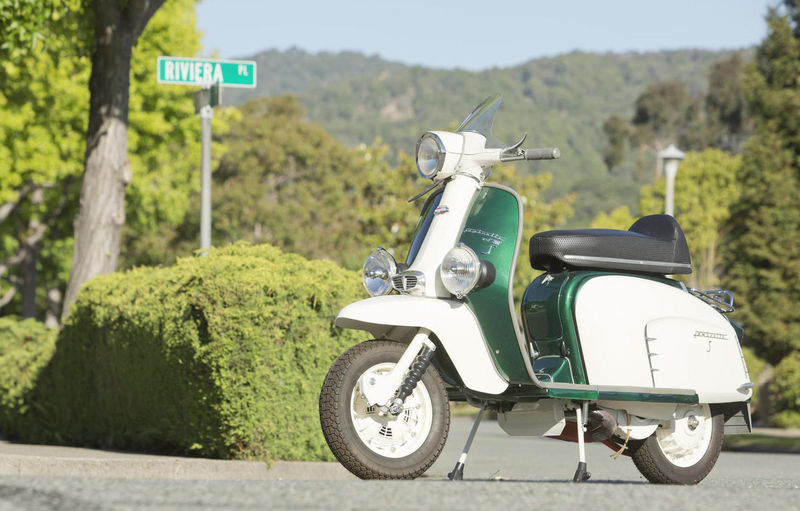 The original, matching numbers scoot has been restored, by P-Town Scooters of Portland, Oregon, to full Arthur Francis 225cc ‘S’ Type specs. The finished article features all the goodies one might expect, including an Ancillotti megaphone exhaust, tuned 225cc motor, Nannucci race seat, Lucas lamps and Cuppini rack. 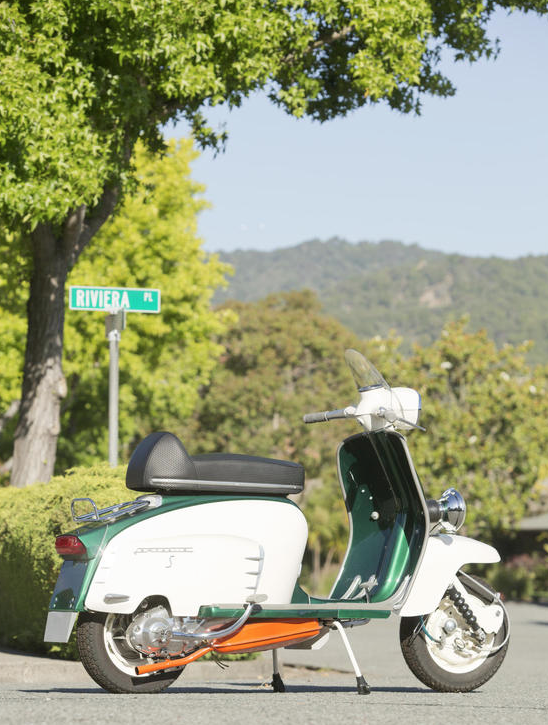 The Bonhams Quail Lodge 2014 Auction will be held August 14th and August 15th on the grounds of the Quail Lodge in Carmel Valley, California. 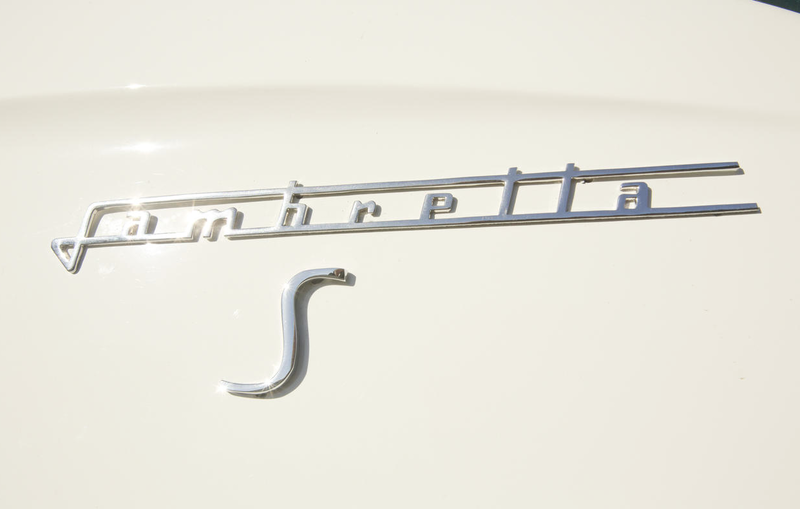 Held in connection with the Quail Motorsport Gathering, the 17th annual Bonhams sale held during Monterey Classic Car Week will feature nearly 120 vehicles. The S Type is lot 197. More details here. 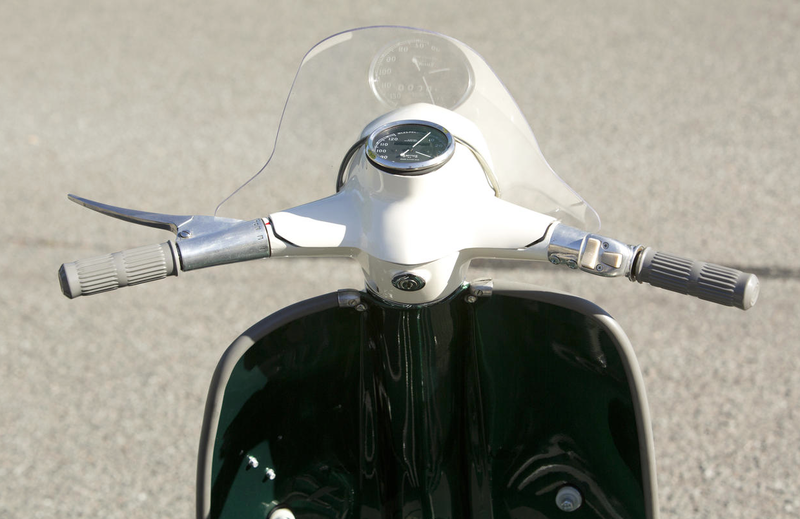 I discovered this fantastic interview with Lambretta legends the Lambretta legends the Acillotti brothers… How they got started in scootering, Vespa’s verus Lambretta’s and their rivalry with Gori. 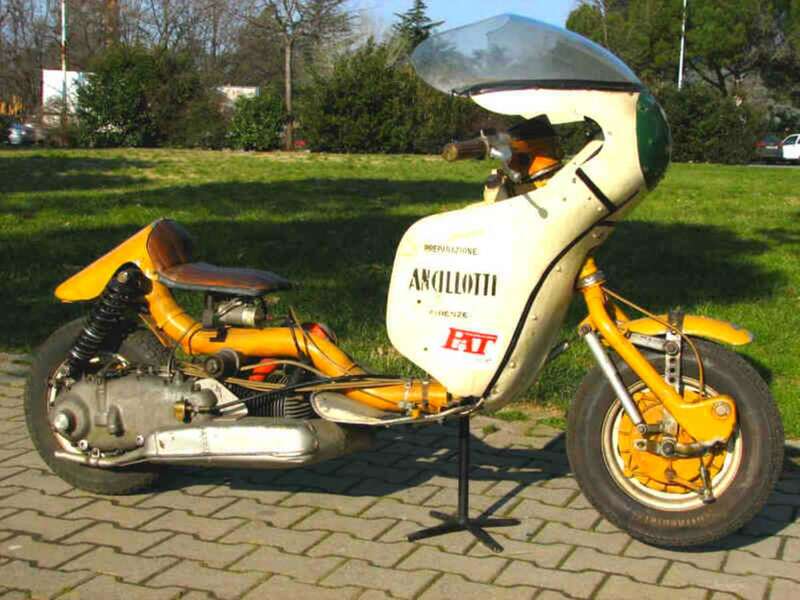 Illustrated with a great looking racing scoot, it’s an interesting read, even when translated by Google from the original Italian. 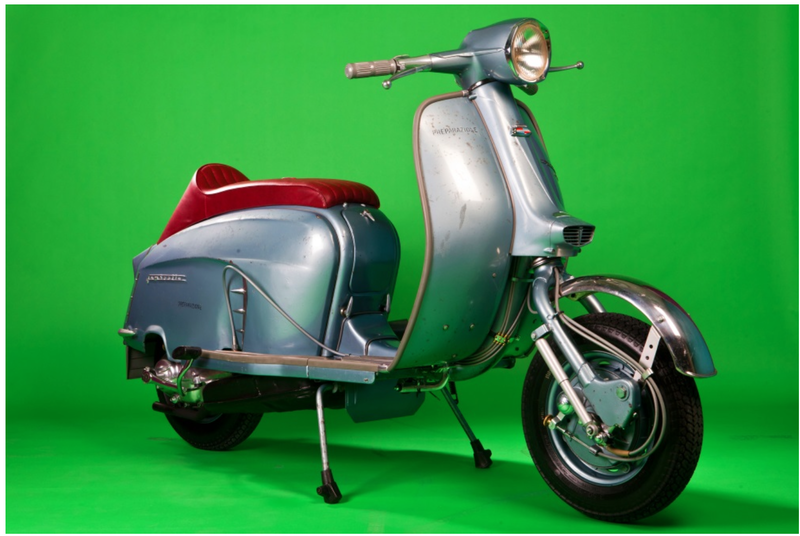 UPDATE: Paolo Catani, the gent behind the Racing Lambretta site, has pointed me in the direction of an english version of the original interview, here. It certainly reads much better than the Google translation. 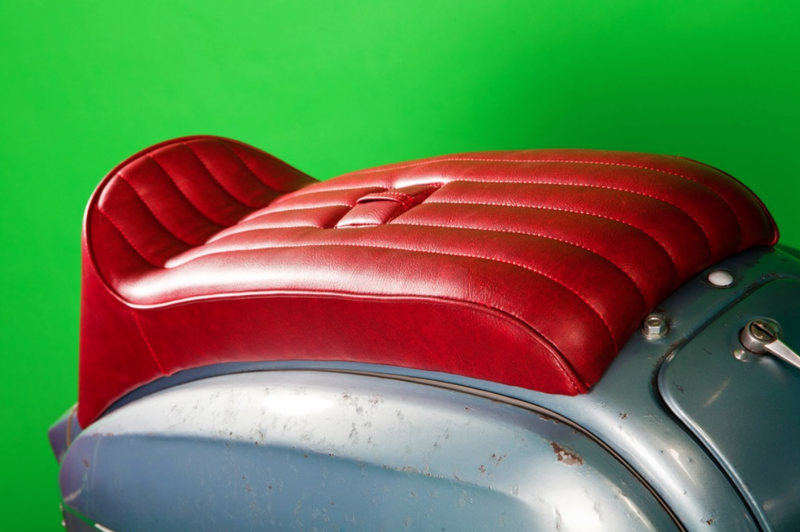 My favourite quote, (one that Google didn’t quite do justice); “It’s not true that it was Lambretta v. Vespa : that’s a false myth. 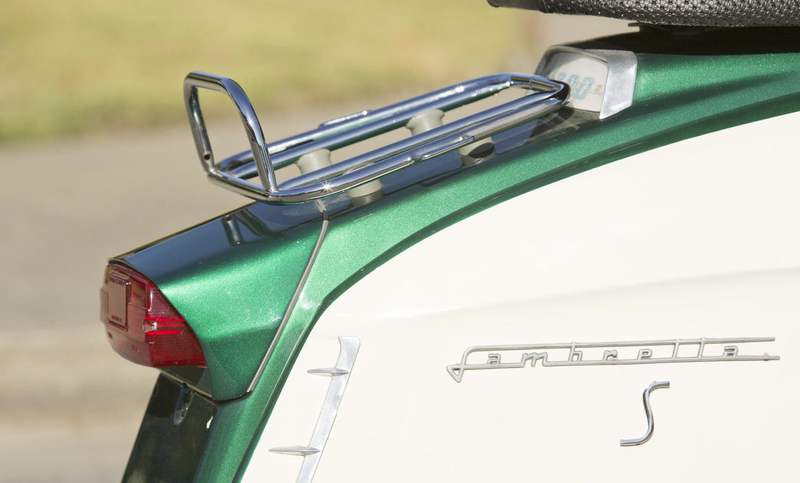 It was always Lambretta against Lambretta because to race against a Vespa would have been a one-sided challenge” Quite. 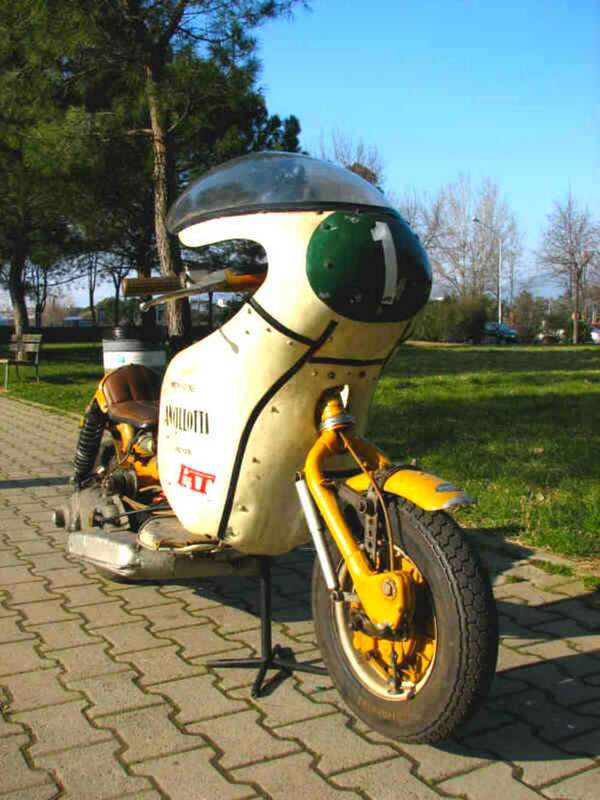 My last post featured a cracking “Rat Racer” Series one… and I thought it was just about perfect. Something I’d love to own. 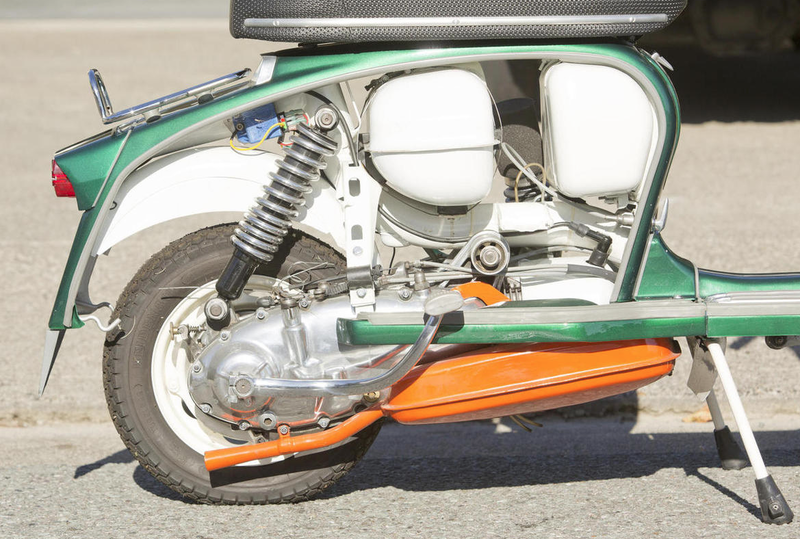 There would be a few little tweaks I’d make… and that’s the way it is with most of the scoots I find. 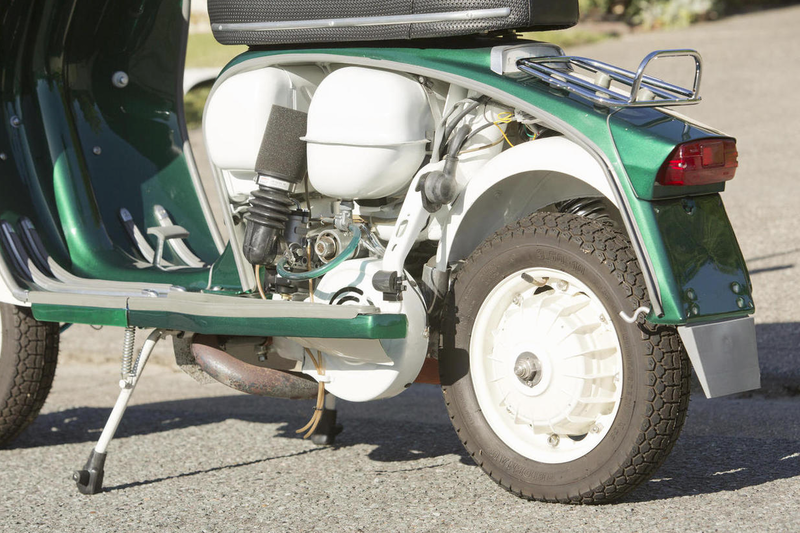 Nearly perfect, but with a couple of tweaks… a bit of chrome there… an accessory added, or removed… but that’s the joy of Lambretta’s. 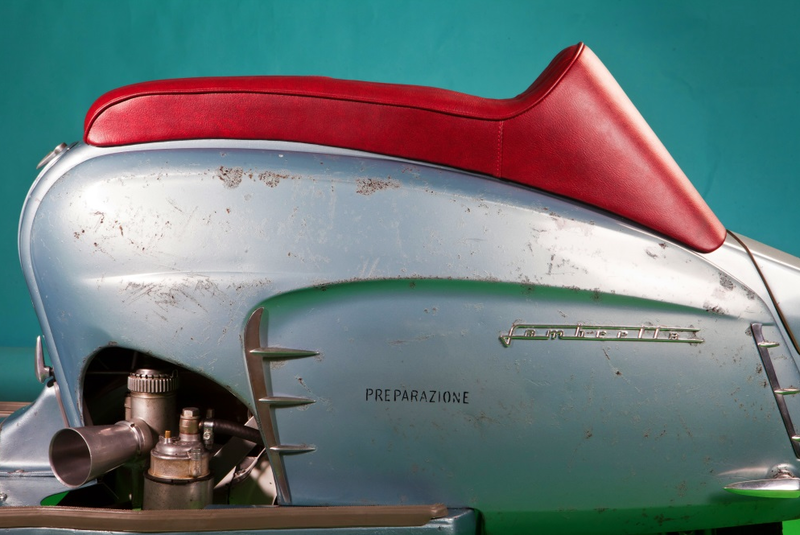 The machines rolled out of the factory, close to perfection… but somehow owners (and dealers) managed to improve them. But, I think I’ve found a machine where I wouldn’t change a thing. And it’s this stunning SX. Well, an SX 150 S-Type GT 186 to be precise. Everything from the paint colour, to the Ancillotti exhaust screams perfection for me. 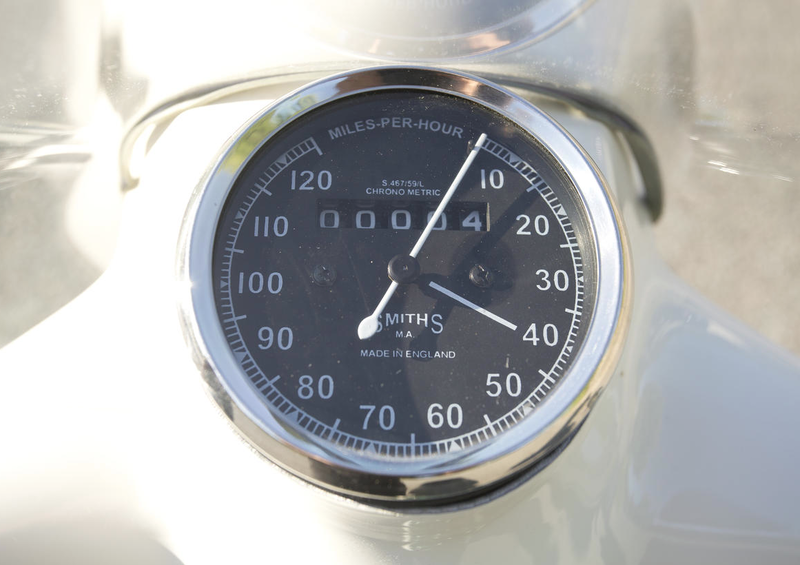 The raydots at the Smith chrono all add to the package. It’s a classic look, and I don’t think it’s been bettered, to be honest. Perfect. 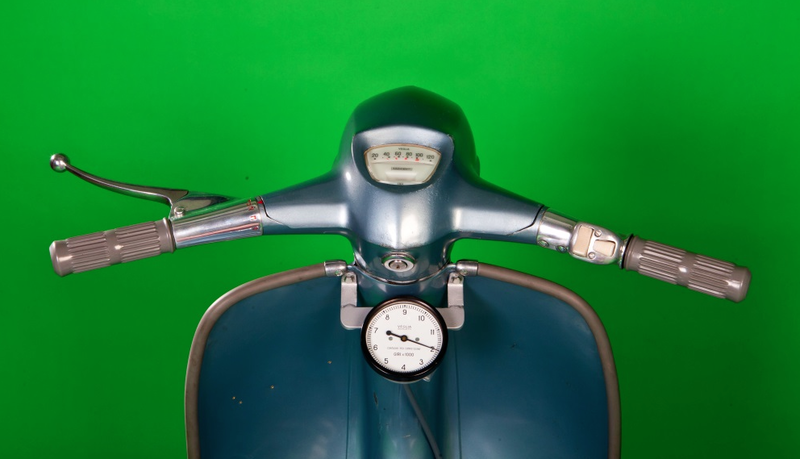 This lovely scoot was shot by Christian Gentilini, and you can see more of his photography, here, on flickr. 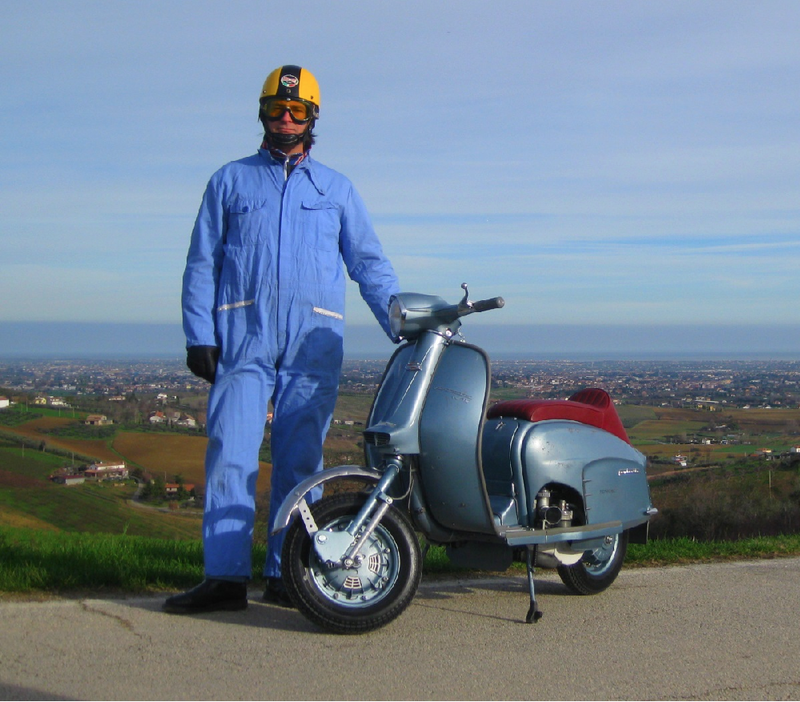 He’s a member of the Lambretta Club Teste Cromate S.C. The pics are copyright (Christian was kind enough to allow me to use them here) so please respect that. Oh. I’ve spotted it. The tweak I’d make to this scooter. 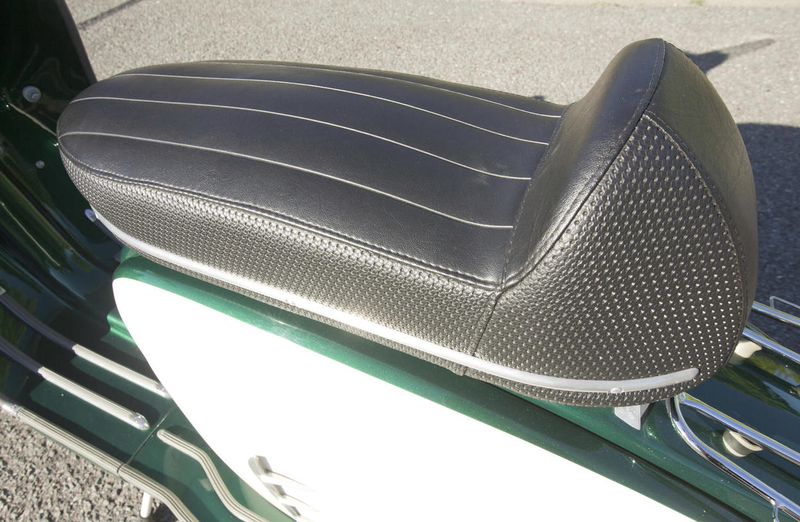 The crankcase side panel has something missing… it needs “Owned and run by Crocodile Jock” discretely signwritten on it. Small in the bottom right corner. And maybe a small enamel union flag badge under the sprint rack. 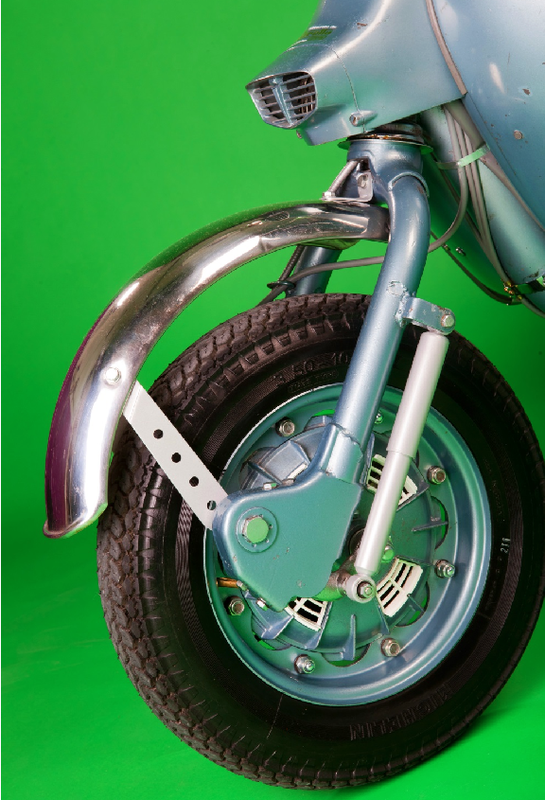 There you go… proved… Lambrettisti just can’t help tinkering with perfection!